When I was in a bit of a nail art funk, I started watching a show called Face Off. This SyFy series features special effects makeup artists being pitted against one another week after week to create truly unique beauty and monster makeup. It was inspiring for me to see such creativity, and brought me out of the funk. The contestants on the show use special effects professional makeup from a company called Kryolan. Turns out, they also do nail polish, which is what I'm reviewing for you today. 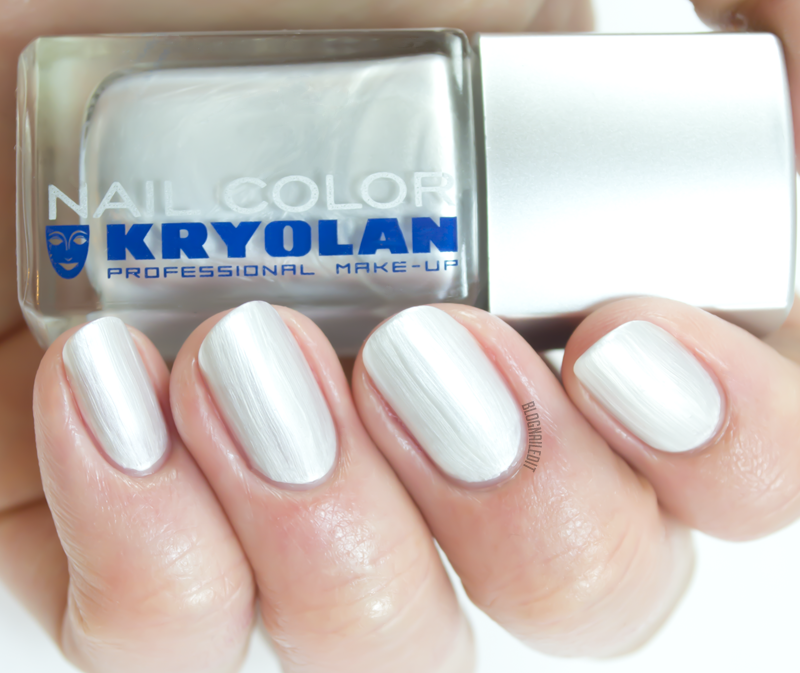 This brand of polish retails on Kryolan's website for $13.50, and it truly is professional. 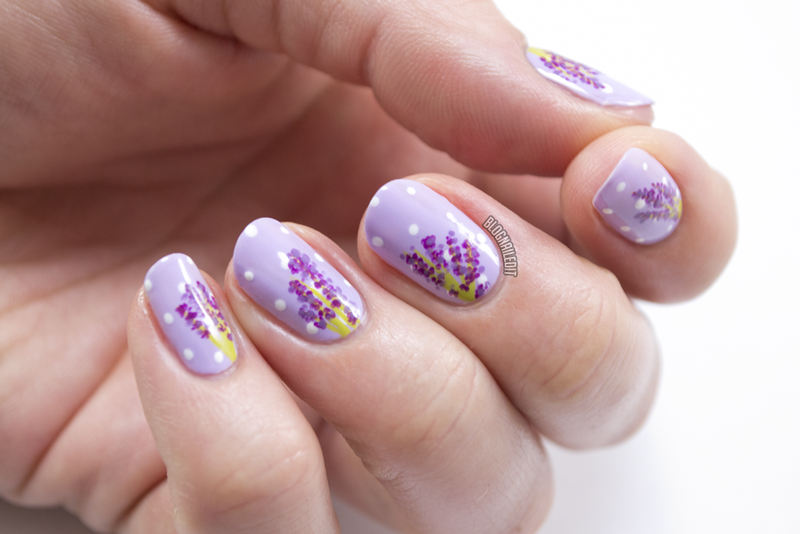 Let the colors speak for themselves, starting with this lavender nail art. The base for this lovely lavender is a Kryolan color, Charming, swatched below the jump along with two others. Charming (2 coats) is a pastel lavender (hence the nail art) that's beautifully smooth. Application was really flawless, and it dries really quickly. I imagine on movie sets, these qualities are hugely important. Classy (2 coats) is a deep burgundy-brick red. Again, very easy formula that suits the name perfectly. Exclusive (2 coats) is a white-silver chrome finish shade. Though it looks streaky up close, from far away (on movie sets, for example) it just looks super shiny. Moral of the post? Start DVRing Face Off (it really is an awesome show), and if you're looking for a professional quality nail polish, give Kryolan polishes a shot, available here (you can expand the "Nail Color" option to see all of them). Like you, I absolutely LOVE Face Off!!! 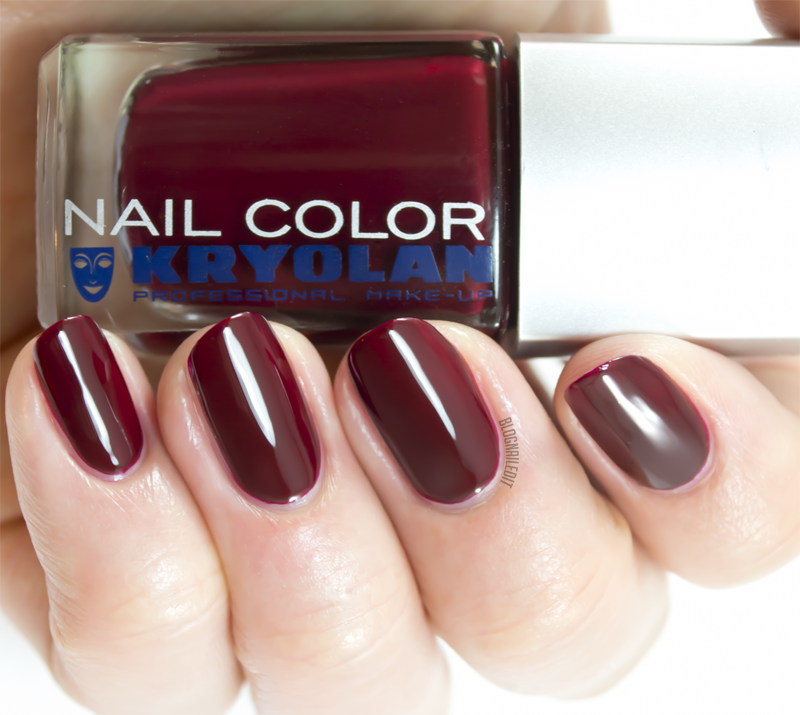 And I had no idea that Kryolan made polish! :-D Love your swatches!